After its debut in 2018, SHARPE music festival & conference has announced its second edition. 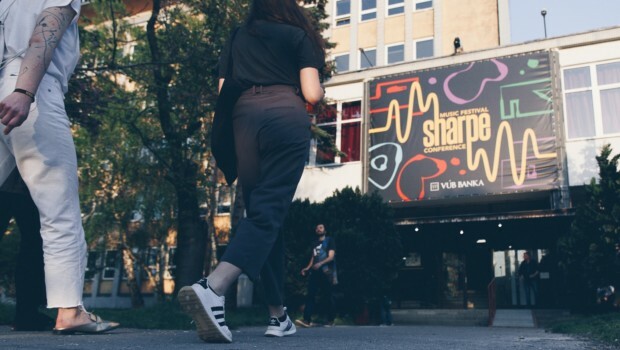 SHARPE music festival & conference 2019 takes place from April 26 – 27, 2019 at Nova Cvernovka in Bratislava. The festival will showcase fresh and promising Slovak acts as well as international acts, presenting more than 40 artists on 6 stages. Acts from Austria are the noise rock trio Melt Downer, the Tyrolean shoegaze duo Molly, and Viennese post-punk band Tents. SHARPE music festival & conference combines public performances with a music industry conference, where creatives meet professionals and get the chance to learn more about industry strategies. This year´s conference offers an intensive lecture and workshop on publishing with Sarah Chanderia, a management workshop with Peter Jenner, panels about international PR for artists and, live strategy for the newcomers, a penal on mental health in music sector, listening sessions and more. SHARPE conference is strongly oriented on connecting foreign music delegates with local festivals and the active and forward-thinking cultural centers from all Slovak regions. 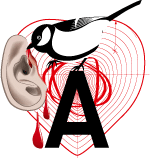 Austrian Music Export will host an Austrian Heartbeats Reception on Saturday which is always a good chance to get in touch with the Austrian music scene. Melt Downer is the loud playground of three creative minds exploring eruptive ideas. They are deliberately contradicting the zeitgeist with a mix somewhere between noise, psychedelic and all possible sub-genres of rock one. The Lo-Fi sound of their second studio album “Alter The Stunt” (Numavi Records/Rock Is Hell) fits perfectly to the trio´s general aim that could be described as not giving a damn about current musical trends toward highly polished productions. Instead, Melt Downer present a very original ideology regarding subcultural, guitar-oriented music. To those who have found most of the rock music in recent years too smooth, Melt Downer add the right dose of insanity. Molly have dedicated themselves to the post-rock shoegaze genre, a sound made famous in the 90’s by legendary bands like My Bloody Valentine and the Boo Radleys. But the Tyrolean duo´s very own style adds something new to the story. Nothing seems to be clearly defined, individual elements flow gently into each other in a restrained but energetic way. Listening to Molly is almost like being on an endless journey through a cloud filled dreamscape. By showcasing at this year´s Eurosonic the two young musicians highly proofed their live qualities. Molly are ready to leave their marks on international stages. When Tents first popped up on the musical scene, scenesters and the press quickly got excited about their unique musical style. Songs made by Tents are partly carried by organ textures and partly cut by post punk guitars. Voila, the Viennese trio even was compared to Joy Division. Two and half years later, with a bunch of showcases and their first EP „Stars On The GPS Sky“ in their pocket, they got the routine, a post rock band needs to compete on international stages. Tents deliver solid live concerts and they know how to deal with the audience from the very first moment they step on stage. Do you want more? Get some more Tents! The confirmed artists for 2019 are: TENTS (AT), Melt Downer (AT), Trupa Trupa (PL), Her’s (UK), Melby (SWE), Bellchild (DE), Giungla (IT), Market (CZ), The Sweet Release Of Death (NL), Ventolin (CZ), JAAA (PL), FVLCRVM (SK), nvmeri (SK), Our Stories (SK), Möbius (SK), Blame Your Genes (SK), Genuine Jacks (SK), Nina Pixel (SK), Herzog Herzog (SK) and many more. You can purchase festival tickets online now for an early bird price of €15 for a two-day ticket. The regular price of the ticket will be €19. Austrian music professionals, who are interested in joining the Austrian delegation, please get in touch with Austrian Music Export. We can offer a limited amount of free delegate passes.